We brew a variety of beers at Ode and want to keep you informed of the different features that set them apart. The key below highlights some of the characteristics of our brews. Ale- refers to a beer made with ale yeast. These ferment hotter than lagers, and yeast likes to be on top of the beer as it ferments. Lager- refers to a beer made with lager yeast strain. For the most part Lagers ferment cold on the bottom of beer. This yeast strain produces a cleaner tasting beer than an ale. Seasonal brew; available for a limited time only. IBU- stands for international bittering unit. This is a reference system used by brewers to calculate the bitterness a hop will contribute to a beer. A higher IBU indicates a more bitter and hoppy beer. Smelter Stout comes in at 6.5% ABV, and boasts a plethora of chocolate, munich and crystal malts. Smelter is bittered with Columbus hops, and finished with English Fuggles. This stout hits you with chocolate, biscuit and coffee notes. Lactose sugar adds a rich body and sweet finish. Named after Smelter Town, just like Asarco, it is set to be El Paso history! A simple malt bill makes this a fantastic, drinkable beer. German pilsner malt with a touch of crystal malt give La Gringa a brilliant gold color. An all Citra hop bill make for a different approach to an American Blonde Ale. Bready notes pair perfectly with citrus undertones contributed by the hops. This is our brewer’s favorite session beer, and can be consumed in copious amounts! Hueco Wit is a traditional Belgian Wit beer, made with German malts and locally-grown El Paso Red Durum Wheat. This beer is half wheat, half barley and has a touch of oats to give a hint of body. Unlike most traditional Wits which use dried orange peel, we hand zest oranges for every batch for a fresh, citrus punch. A healthy dose of coriander adds additional spice and character. The suspended Wit yeast is rich in vitamin B. Here's a beer to ease a hangover from a night out. Porter is a traditional style of beer made originally in England for train porters. It is typically lower in ABV and uses less roasted malts than a stout. Morning Wood is our version of an American Robust Porter. It is infused with 10 hour, cold-brewed coffee from 2Ten Coffee Roasters and has a robust character from the Brazilian and Ethiopian blend coffee beans. Morning Wood has a silky texture from the process of introducing oats in the mash. We think it's better than coffee in the morning! Pairs well with: Deserts, and caramelized meats, especially our pork tacos. The English monarchy brewed Russian Imperial Stouts for the czars of Russia, to keep them warm in toasty in the frozen tundra. They are traditionally high in ABV and super malty. Baphomet Tears was brewed and aged in bourbon barrels for Ode’s one-year anniversary. Over 10 varieties of malts contribute to Baphomet's aggressive and complex flavors. It is sweet tasting and has toffee, oatmeal, toasted brownie, coffee, and roasted flavors, which continue to change as the beer warms up. It's a beer fit for a king, er czar. West Coast Imperial India Pale Ale is a traditional English brew that's risen to popularity through the American craft beer scene. IPAs were originally made for export to the British troops stationed in India in the 1700s; they were well-hopped as hops act as a natural preservative. Dr. Green Thumb is a rotating brew, which allows our brewer to experiment with different hop varieties. This West Cost style, double IPA showcases intense hops aroma and flavor. We brew with at least four hop varieties adding a huge load at whirlpool and dry hopping. Not Another Pumpkin Ale is Ode’s response to the popular pumpkin beer trend. It has a ton of fresh roasted pumpkin, cinnamon, nutmeg, star anise and clove. German Munich and Pilsner malts provide the back bone of a traditional Marzen beer. This tastes like pumpkin pie in a pint glass--sweet and spicy. Assistant Brewer 'Exhibit B' wanted to be a cool kid, and make a juice bomb of a beer. Trial and error led to Juicy J, an East Coast style pale ale. This beer is all about hops, a combination of Citra, Mosaic and Simcoe lend a tropical fruit aroma unlike anything else in El Paso. The super, simple malt bill allows the hops to take the center stage for this beer-- get juiced up! Honey Baby Sugie Cookie is an oatmeal brown, loaded with imported British malts, hops and oats! At 6.5% ABV, this beer is toasty, roasty and silky; it's theperfect beast for a cloudy day. Tony Baby Sugie Cookie is a seasonal brew only found at Ode in fall and spring! The sun's out, and it's Porch Pounder Pils time! Our Pils is the simplest beer made at Ode Brewing. It's a German pils with an El Paso twang. 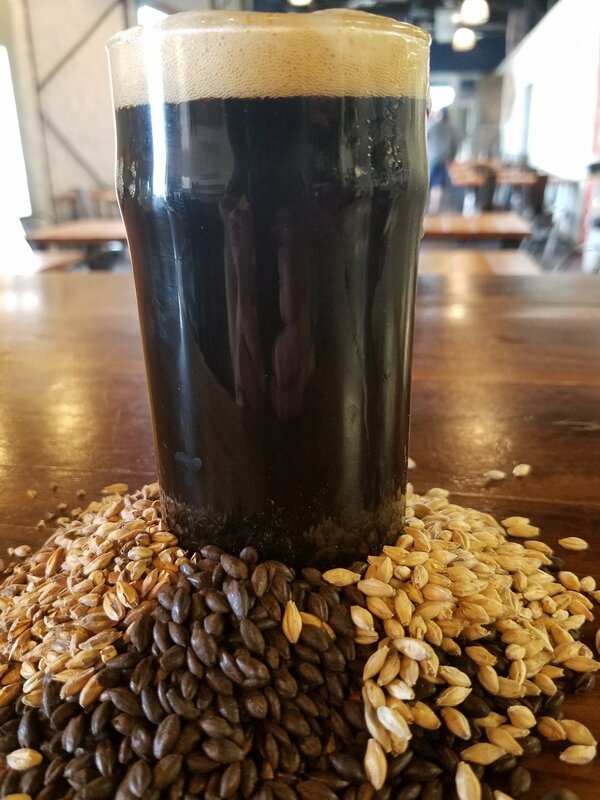 A simple malt bill consists of imported German Heidelberg malt coupled with a kiss of noble German Tettnanger hops to create the basis of this flavorful session beer. 4.6% ABV and 11.2 noble IBUs contribute to this balanced beer's notable drinkability. It's perfect for pounding on any one of the 300 sunny days here in the Sun City. Ode’s first collaboration brew was with Spotted Dog Brewery out of Mesilla, New Mexico. Though our beers cannot cross state lines, there is nothing stopping our brewers. Over a couple of pints, we decided to make a Weizenbock both at Spotted Dog Brewery and Ode Brewing. This beer is over 50% wheat, and 6.1% ABV. Huge banana clove aromas come from the nose, and a sweet munich malt flavor comes through with each gulp. John Pilhoefer is the only GABF winning brewer from the city, and he likes to brew stuff at Ode Brewing. He settled on an Oyster Stout this time around, 100 pounds of fresh oysters were introduced to this beer. Though the oysters only lend a faint taste, the salt makes the dark malts stand out (just like adding salt to your food). Calcium leached from the shells aids the yeast in their quest of beer glory. One of the harder styles to find on the market, this stout comes in at 8.5 % ABV, and is loaded with coffee and chocolate goodness.